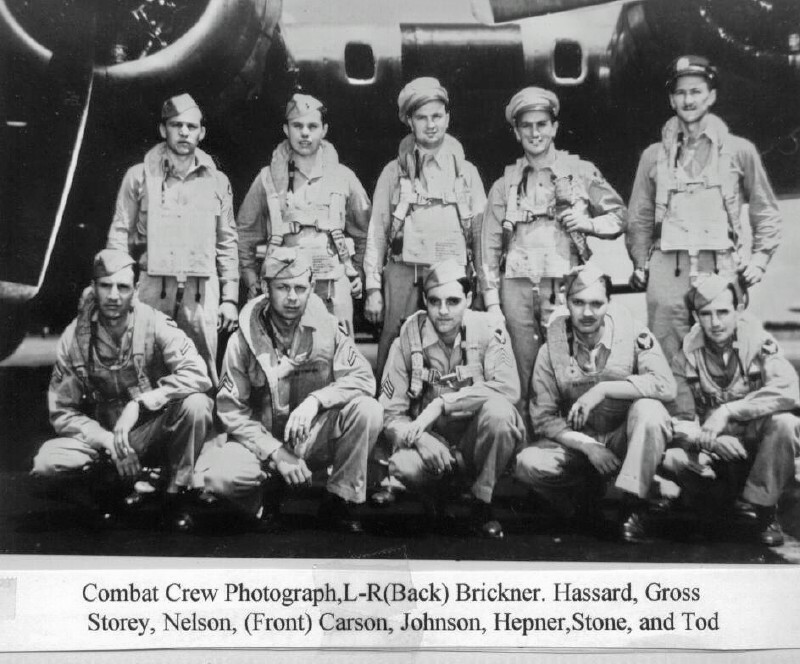 The Buslee and Brodie crews were involved in a mid-air collision on September 28, 1944 during the 384th Bomb Group’s Mission 201 to Magdeburg, Germany. The Buslee crew flew this mission aboard aircraft 43-37822. The Brodie crew was aboard 42-31222, Lazy Daisy. The two planes collided after bombs away and coming off the target. Nearly part of the day’s tragedy himself, Lt. Col. Wallace A. Storey, USAF (Ret. ), witnessed the collision between 43-37822 and Lazy Daisy. The following excerpt from the book, A Pair of Silver Wings and the Eighth Air Force by Lt. Col. Wallace Storey, USAF (Ret.) and Mrs. Martha L. Storey, is provided for use on The Arrowhead Club website by the kind permission of the authors, who assert full ownership of copyright for the material. Use of this material is limited to the following provisions. This excerpt is intended for unrestricted private use. Please copy and use as needed to support your WWII research. If you wish to incorporate this information in a commercial product of any kind, request authorization from Lt. Col. Wallace Storey, USAF (Ret.) in advance. On this day the 384th Bomb Group was dispatched to bomb the Krupps Steel Manufacturing Plant at Magdeburg, Germany. This was a heavily defended target and a long flight of almost ten hours. On this mission there was a tragic occurrence illustrative of some of the little discussed risks of combat flying that sometimes happened but, fortunately, was never repeated on any of my missions. After being awakened at 0310 we had breakfast and briefing and were in our planes at 0610 as the “start engine” flares arched from the 384thBG control tower—or “Cherub” as was its call sign. Of course, the radio was not used for aircraft control as the group departed so as to avoid alerting the German defenses any earlier than necessary. Once we were airborne the fact that the 8th was assembling was soon evident to the enemy but any delay increased the chances of deception. On this mission, I was to follow ship #222, [42-31222]“Lazy Daisy”, flown by Lt. Brodie, on to the taxiway leading to the runway. He was to fly #2 position of the high element of our squadron and I was to fly position #3 (i.e. right and left wing respectively off of the lead plane,#941, [42-97941, “Marion”] of the element). Take off went well as we began our roll at 0720. The Group assembled without incident and we fell into line as briefed for the Wing Order of Battle. Our 41st Combat Wing was made up that day of the 303rdBG in lead, followed by the 379th, with the 384th last. This order, which varied from mission to mission, was to prove fateful on that day. Just a few weeks earlier the Luftwaffe had begun a new tactic which they called “company front attacks”. They added extra armor and guns to three or four dozen Focke Wolfe FW-190 single engine fighters. They approached the 8th Air Force Groups head on in wedges of eight to sixteen planes so as to saturate the bombers’ defensive fire and sometimes disrupt their formation. Although we did not know it at the time, they had used this tactic against the 446th Group of the Second Division the previous day and inflicted the greatest loss ever suffered by a single group of the 8th Air Force in World War II—-25 B-24’s. The German fighters used this tactic against the 303rd Group, the lead group in our Combat Wing, on the mission to Magdeburg on the 28th. The 303rd lost eleven B-17’s in this frontal assault. One of the lead pilots of the 303rd is quoted as saying “When we turned on our bomb run we were attacked by about 50 Nazi fighters en masse, coming at us as a solid bunch. Those guys were like mad men–with one idea–to knock us down in a suicidal attack”. There was a total of fifteen B-17’s that were lost that day from our Combat Wing. This amounted to a 13.9% loss of the l08 planes–the highest loss in the Wing of any of my missions. Being the 3rd Group in the Wing we were fortunate not to be as heavily attacked as the other two Groups, but what happened led to confusion as we bombed the target. Flak was extremely heavy that day and the Wing had been somewhat disrupted by the heavy opposition. We found ourselves on a crossing course with another Group and just after “bombs away” the lead ship made a sharp descending right turn. Our high element, being on the inside of this steep turn, had to move quickly by reducing power while climbing slightly. Glancing to my right, I saw that “Lazy Daisy” was sliding toward me. 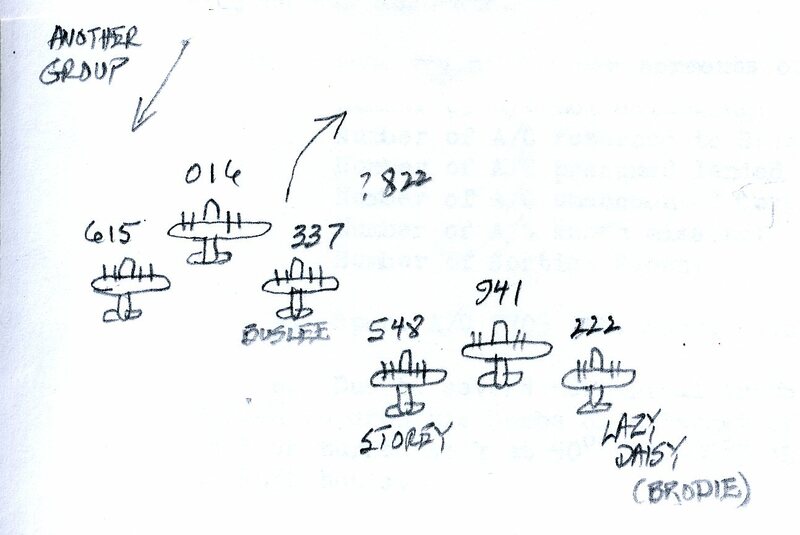 I pulled back on the control column to climb out of her path while keeping my eye on the #2 ship of the lead element, Lt. Buslee in #337 [43-37822], on whose wing our element was flying. I yelled to Gross to watch for him to come out on the other side and, sure enough, he slid under us and right into Buslee in the lead element. I watched the two planes as they collided. It cut #337 [43-37822] in half and the wings on #222 [42-31222] folded up and both planes fell in a fireball. They were 18 men lost in those two ships. We didn’t see any chutes as we continued our turn to the right. Some of the formations were broken up, both because of this and because of the fighter attack, but we did not have any further problem as we headed back home. Even though the 1st Division lost 23 planes, the Germans did not come out unscathed. There were 10 confirmed fighters destroyed, 7 probables, and 5 damaged by the B-17 gunners. Our crew was extremely lucky that day as “Lazy Daisy”, by all normal odds, should have collided with us and must have crossed under with less than five foot clearance as I pulled up. And for Buslee, flying on the last of his 35 missions, and for Brodie, and their crews it was the unluckiest of all days. We were all happy to be safely back at Grafton Underwood as we touched down on the soil of England. Upon inspecting our plane we found two sizable Flak holes but, fortunately, they missed our fuel tanks and other vital points. Fighters and Flak were not the only dangers of combat flying. Taking off, assembling, and landing in extremely bad English weather (such as grounded the 8th frequently in 1943 but not later) formation flying in weather where only the adjoining plane could be seen and maneuvering large formations required great competency in the flight crews and, often, great luck as described in this mission. I have included clarifications of aircraft serial numbers and names in brackets above. Correction: John Oliver Buslee, pilot of 43-37822, was flying his 16th mission on September 28, 1944. The William A. Johnstone crew was aboard 42-97941, Marion. The Kenneth E. Gross crew was aboard 43-38548, name unknown. Co-Pilot Wallace A. Storey, was flying the plane and was able to see Lazy Daisy coming toward him from the co-pilot seat on the right side of the cockpit. His quick reaction saved his crew from an otherwise certain collision. The Pilot, Gross, may never have seen Lazy Daisy from his vantage point on the left side of the cockpit. The Richard H. Groff crew was aboard 43-38615, name unknown. The Harold M. Toler crew was High Group Lead aboard 43-38016, Lorraine. Robert M. Mitchell, who had served as Ball Turret Gunner twice with Buslee crew waist gunner George Edwin Farrar, was on the Toler crew on this mission. To read more about Wallace A. Storey, click here. 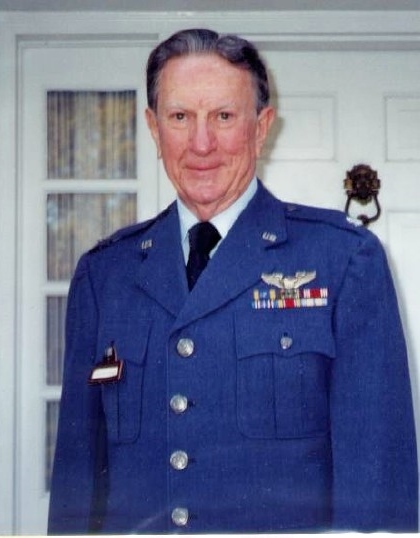 The following biography of Lt. Col. Wallace Storey, USAF (Ret.) is provided for use on The Arrowhead Club website by the kind permission of the author, Wallace A. Storey, who asserts full ownership of copyright for the material. Use of this material is limited to the following provisions. This biography is intended for unrestricted private use. Please copy and use as needed to support your WWII research. If you wish to incorporate this information in a commercial product of any kind, request authorization from Lt. Col. Wallace Storey, USAF (Ret.) in advance. 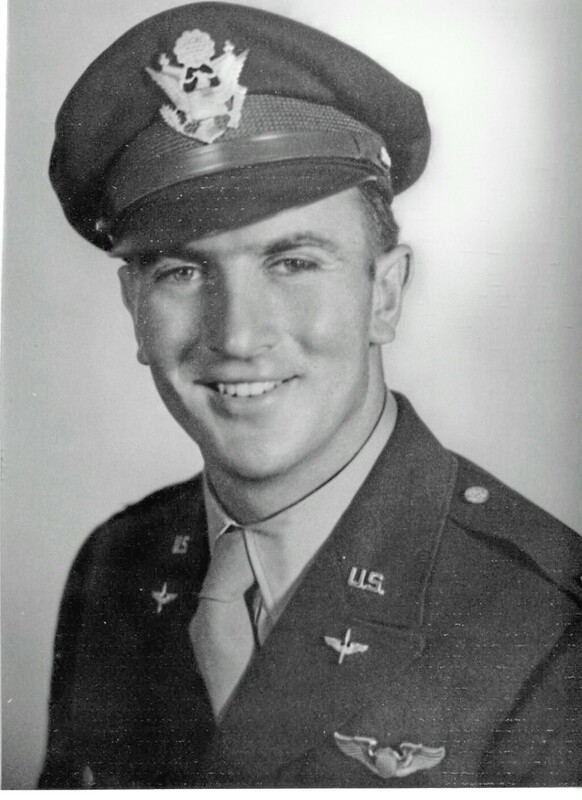 Following the outbreak of World War II and the entry into the conflict of the United States, Wallace A. Storey joined the US Army Air Force on August 13, 1942. 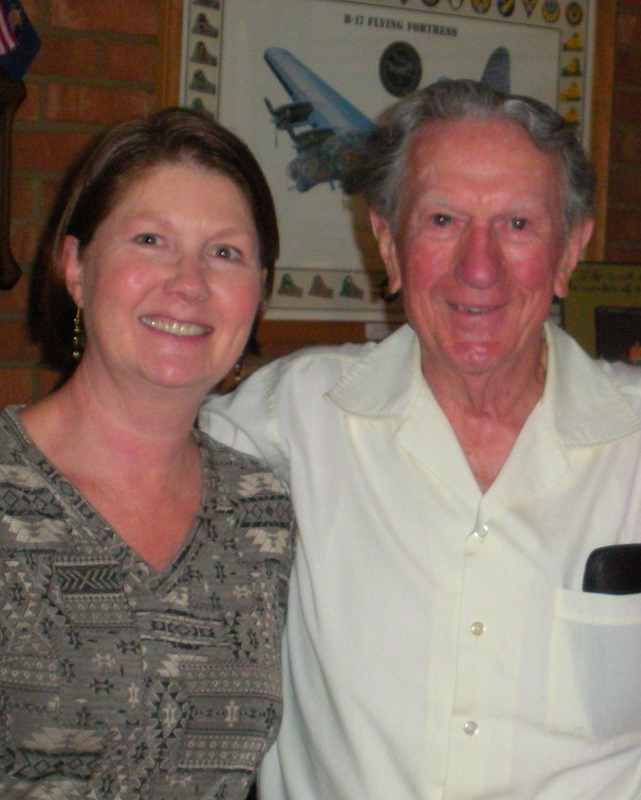 Upon being called to active duty in February 1943, he went through pilot training in the Central Flying Training Command in Texas. Preflight was completed at San Antonio, Texas and Primary Flight Training at Jones Field, Bonham, Texas. After Basic Training at Perrin Field, Sherman, Texas and Advanced Training at Ellington Field, Houston, Texas, Aviation Cadet Storey graduated in Class 44C and was commissioned a Second Lieutenant in the US Army Air Force. Storey completed B-17 Flying Fortress Training at McDill Field, Tampa, Florida and was sent to England in June of 1944, joining the 8th Air Force. His service in the 8th was in the 545th Squadron of the 384th Bomb Group. His service there involved attacks on the V-1 sites in France, support of army and paratroop attacks in Operation Market Garden, the breakout at Metz, and during the Battle of the Bulge. The majority of his missions were against German Chemical and Synthetic Oil Refineries. Storey flew 16 missions as co-pilot and 19 as first pilot with the same crew. Upon return to the Zone of the Interior, Storey served in the Air Transport Command as a Ferry Pilot until the end of the War. Subsequent to active duty service, Storey served in the Air Force Reserve until retirement as a Lt/Col. in February of 1969. 1. U.S. Army Air Forces – 1942-1945. 2. USAAF Central Flying Training Command – Rated Pilot – 1944. 3. B-17 Transition School – Rated four-engine Pilot – 1944. 4. Pilot USAAF 8th Air Force – European Theater – Heavy Bombardment. Recipient of fifteen (15) medals and battle stars for thirty-five (35) combat missions. 5. Rated Commercial Pilot – Single and multi-engine – 1945. 6. Graduate Squadron Officer’s School USAF – 1959. 7. Qualified Base Engineer USAF – 1959. 8. Graduate Civil Engineer Administration School USAF – 1961. 9. Rated Communication/Electronics Officer and Pilot Tactical Bomber-1961. 10. Rated Development Officer (Special) USAF -1964. 11. Graduate Command and Staff War College- -1965. 12. Retired Lt/Colonel United States Air Force Reserve – 1969- Present. 13. Member of the U.S. Air Force Association. 14. Life Member of The Retired Officer’s Association. Lt. Col. Wallace Storey lives in Spartanburg, South Carolina and can be contacted through e-mail at wasmrl@att.net.